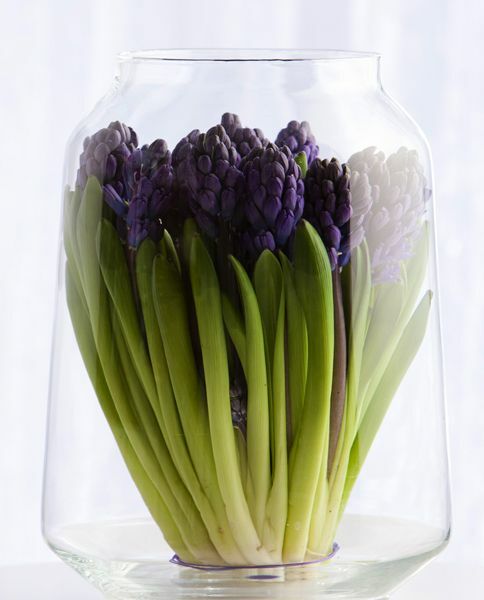 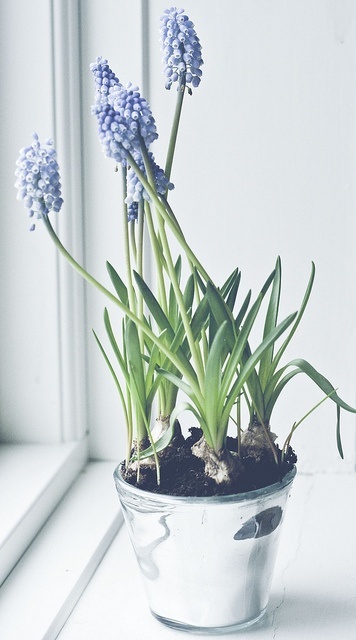 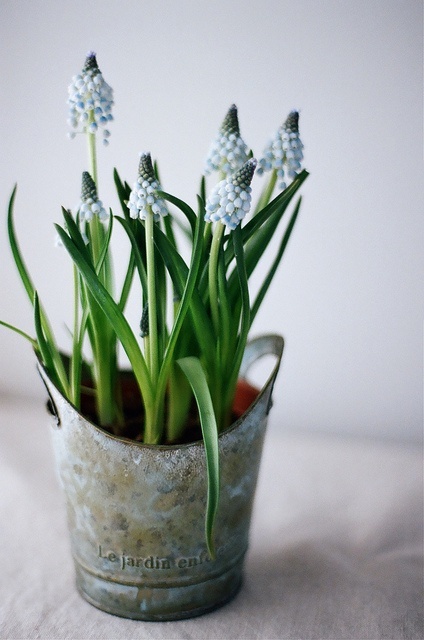 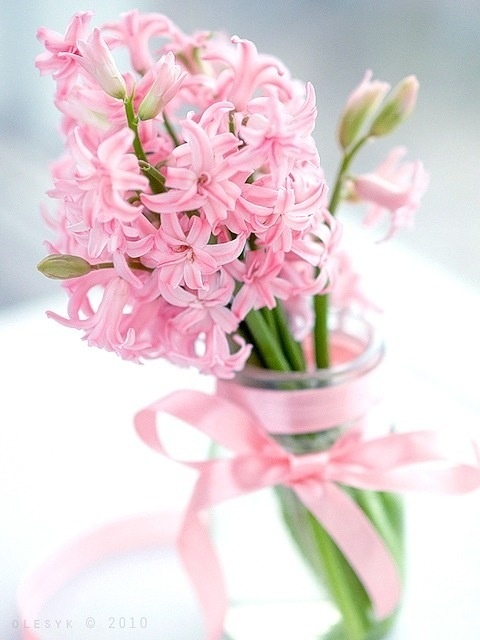 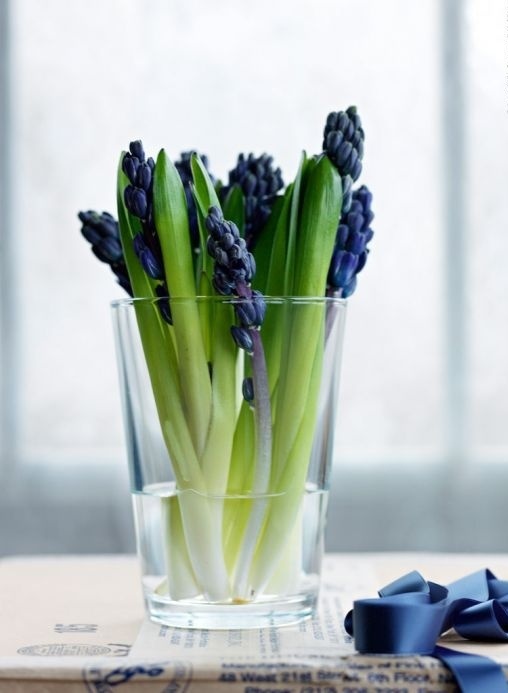 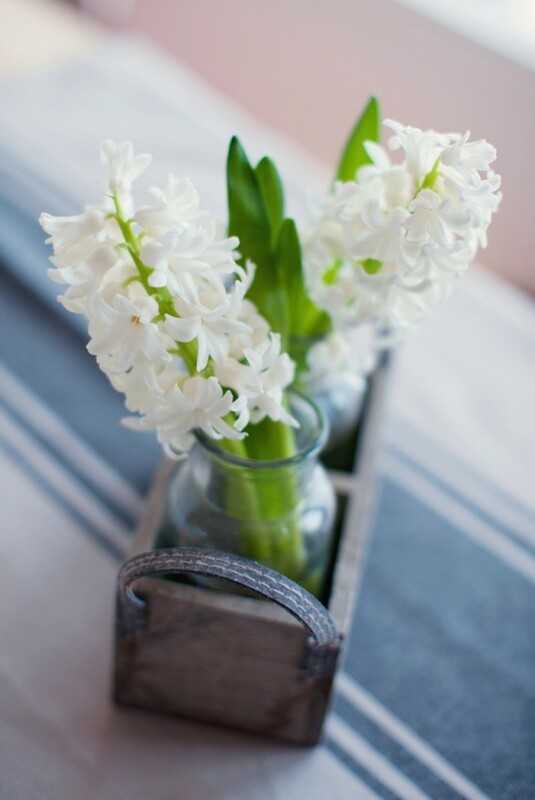 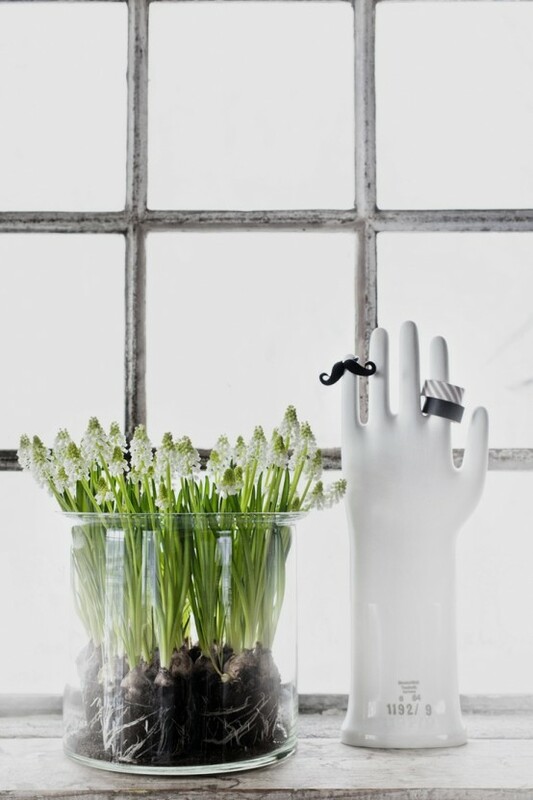 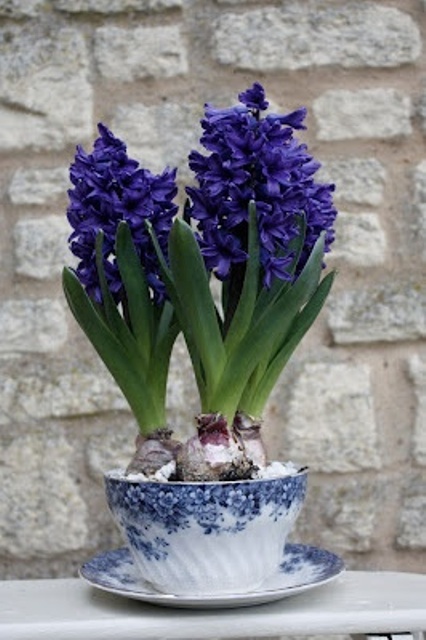 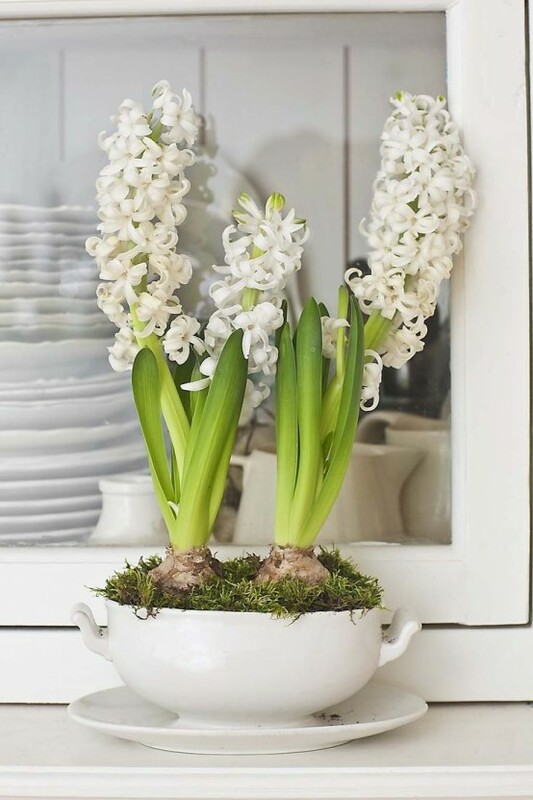 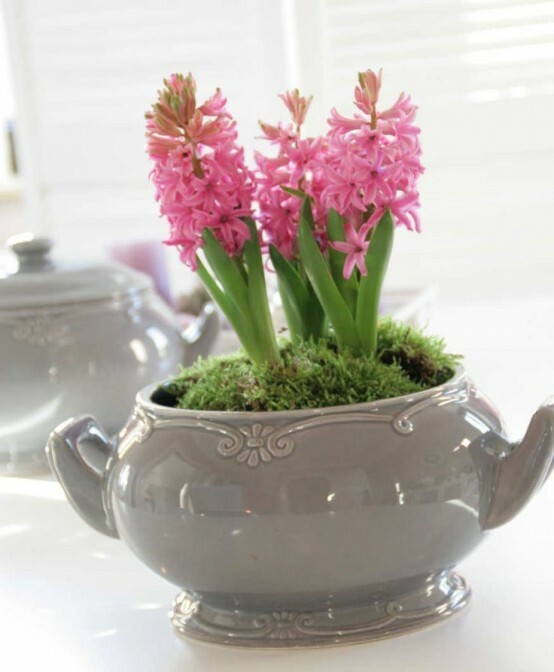 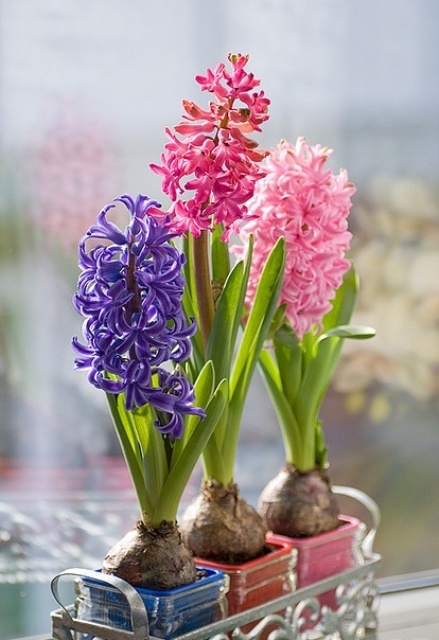 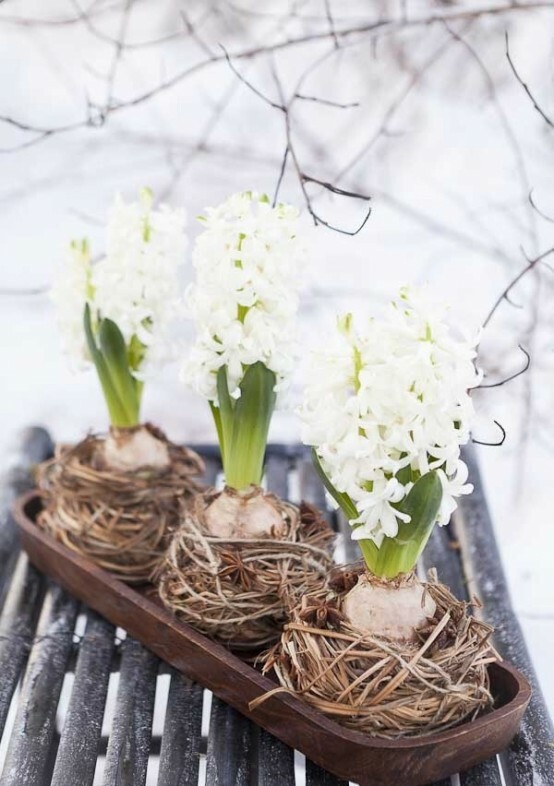 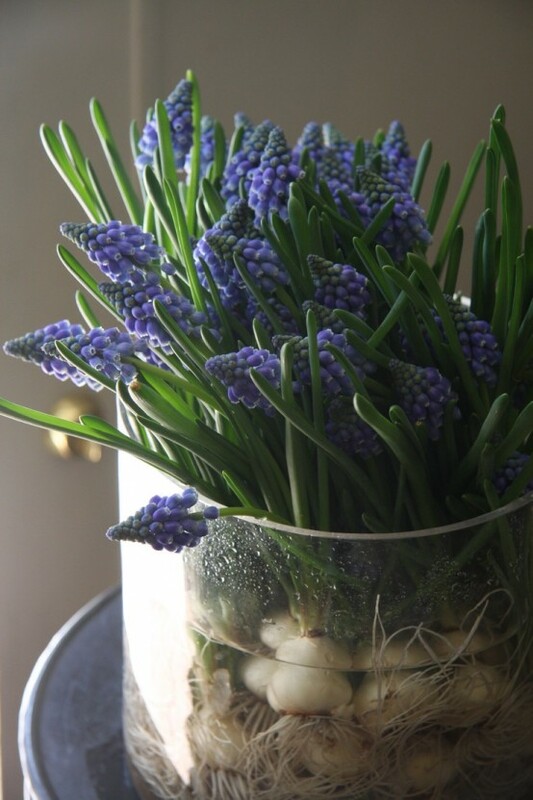 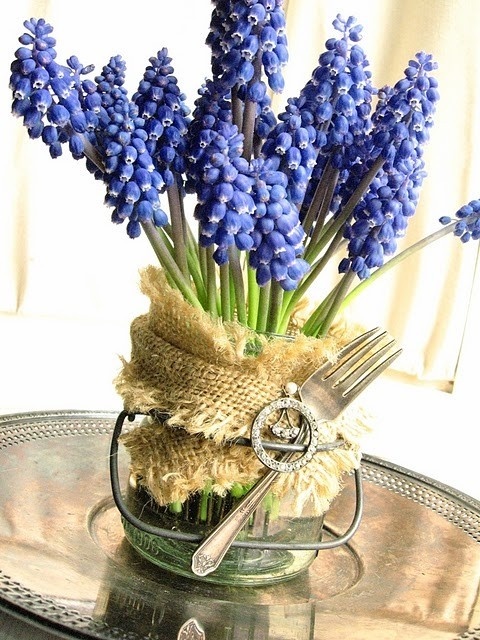 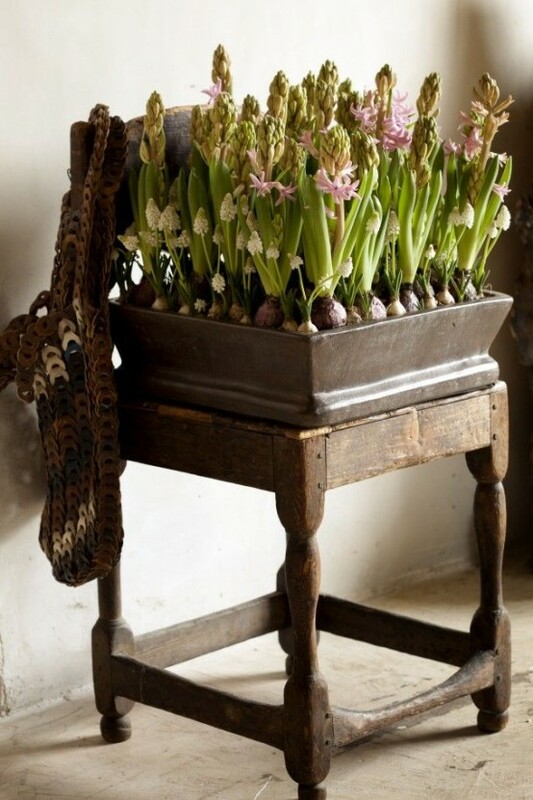 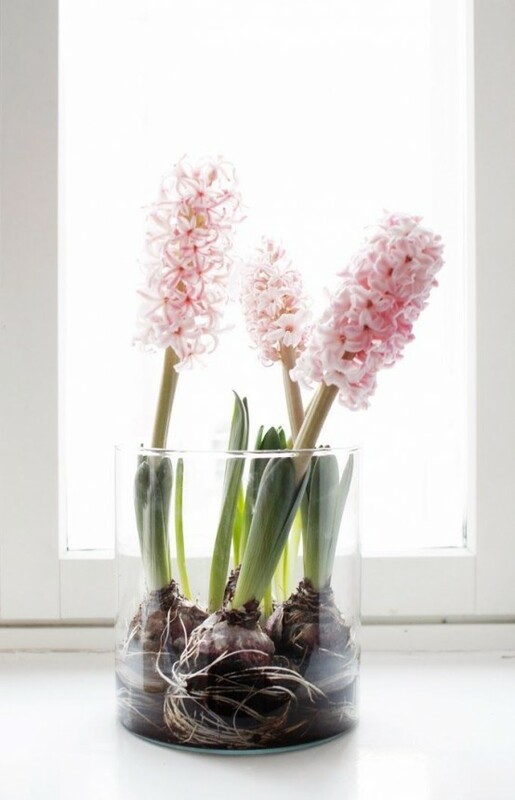 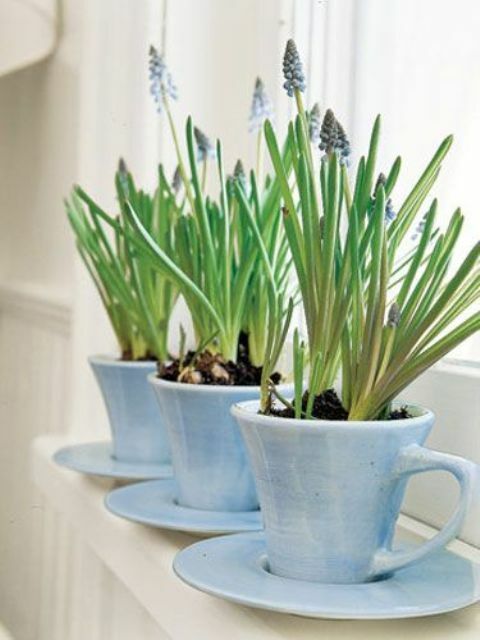 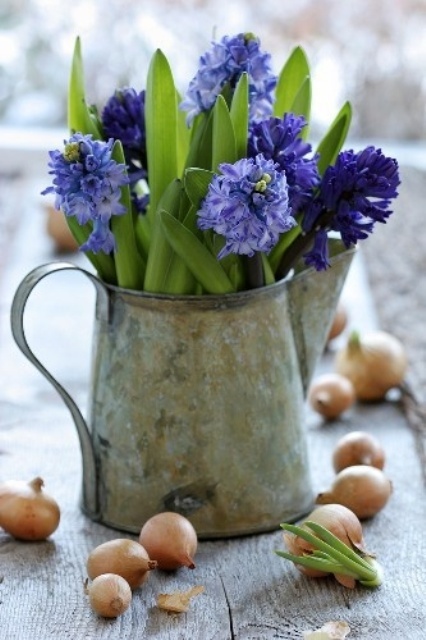 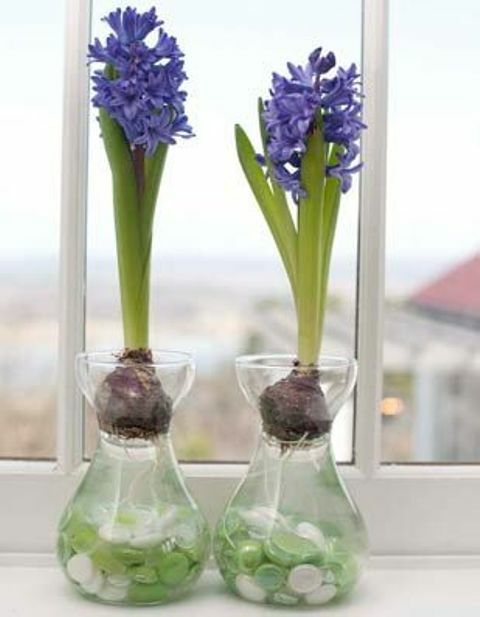 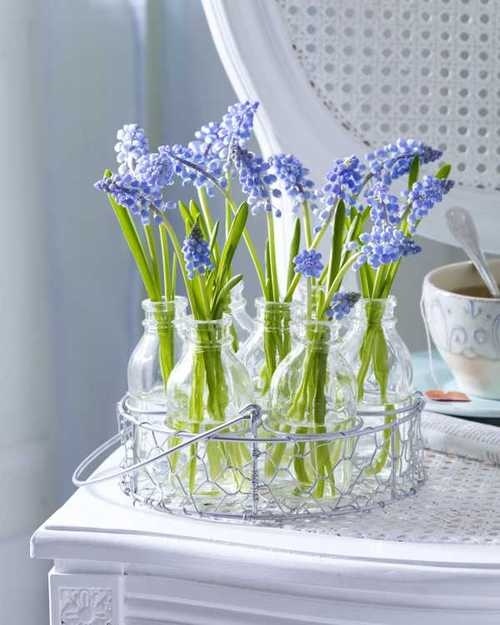 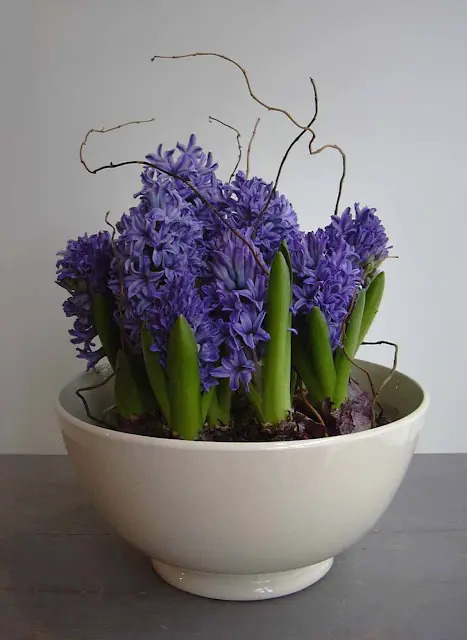 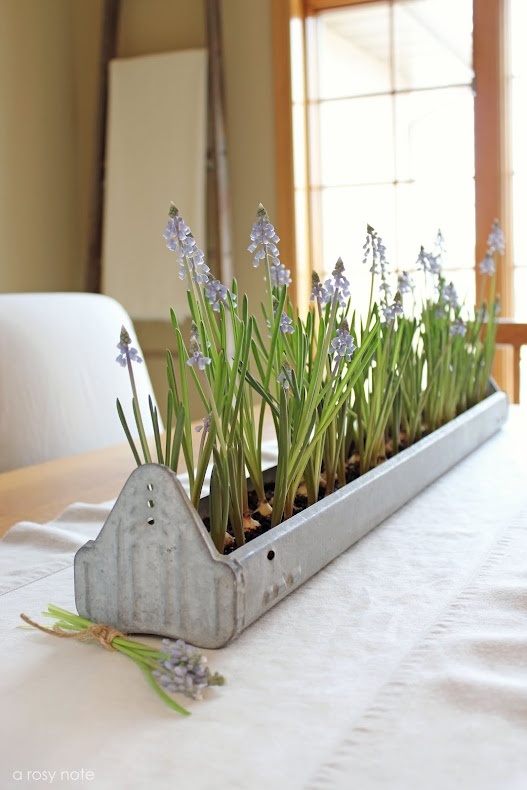 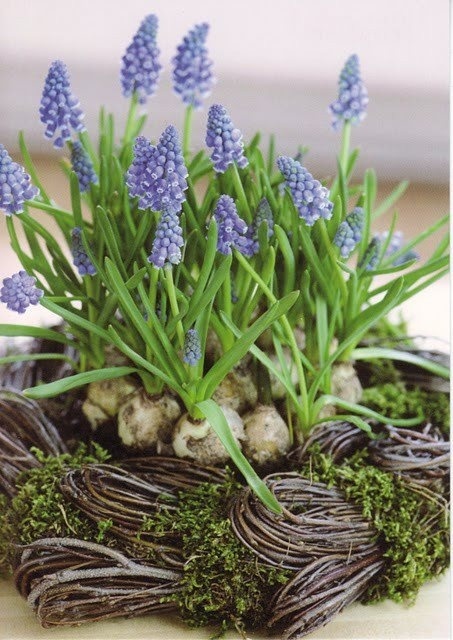 Hyacinths are amazing for spring décor, especially if you grow them at home – it’s so refreshing! 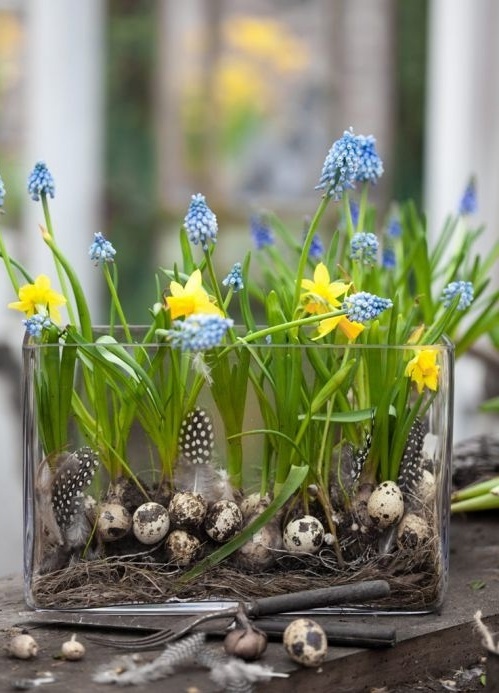 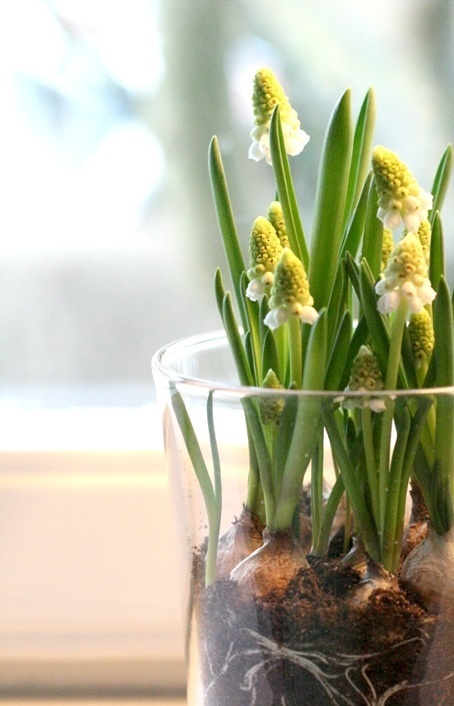 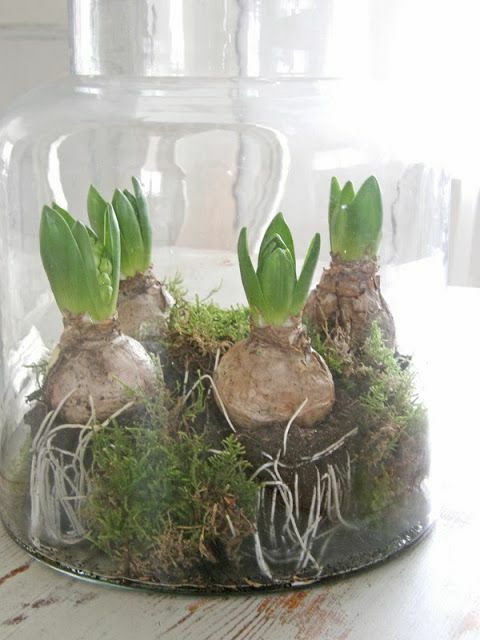 So, why not take several bulbs and grow them with or without any soil? 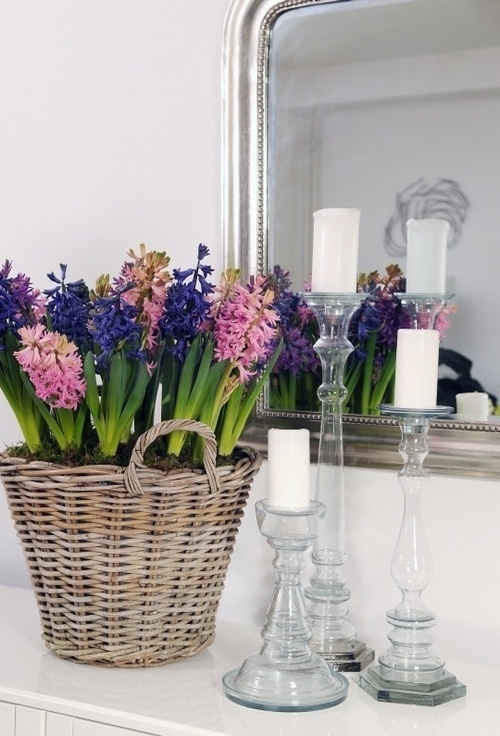 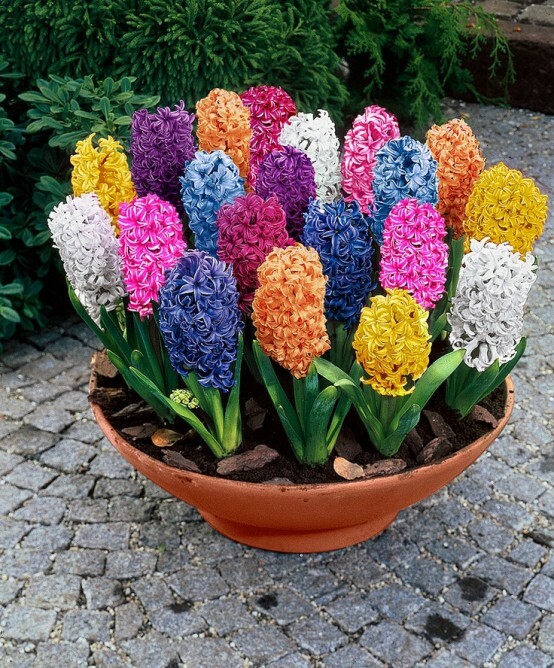 How is it better to arrange the hyacinths? 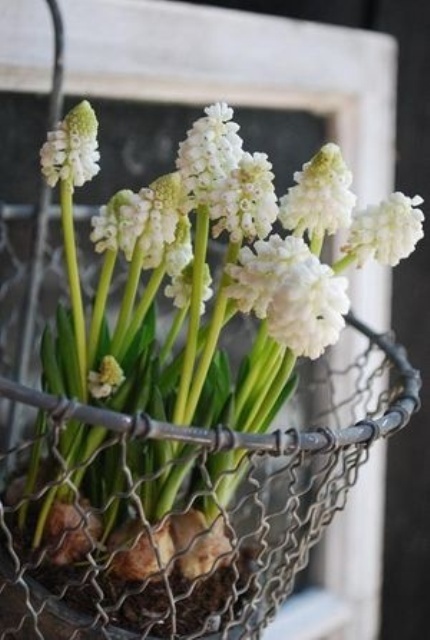 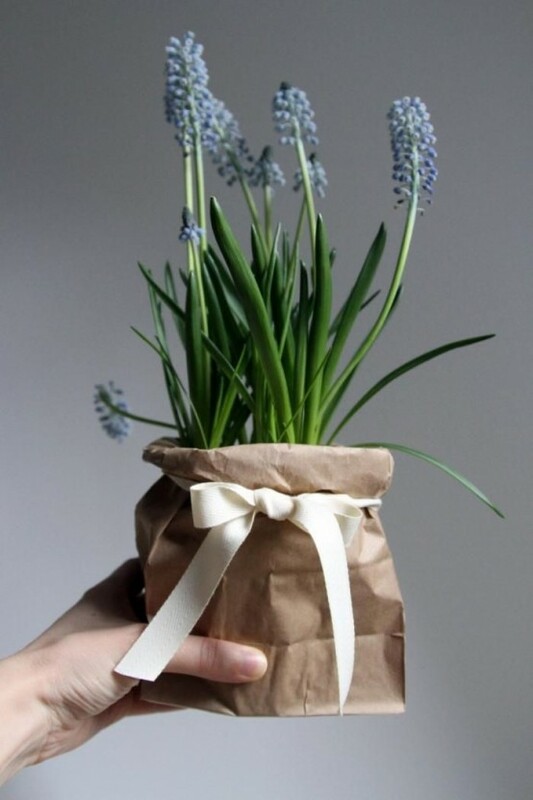 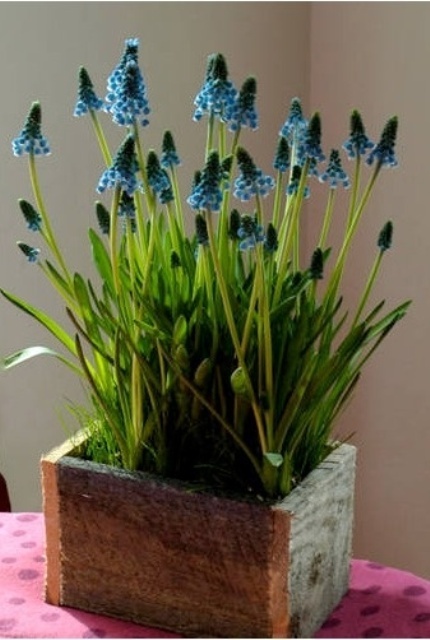 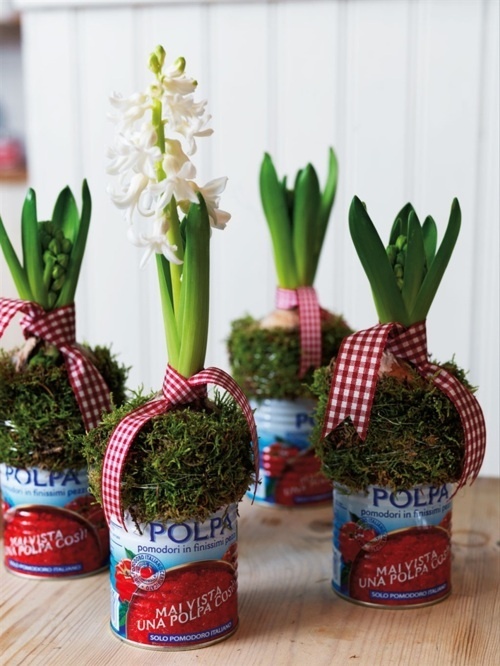 To add a chic vintage feel you can grow hyacinths in vintage cups, tea pots, and for a rustic touch take a dough bowl or add burlap and ribbon. 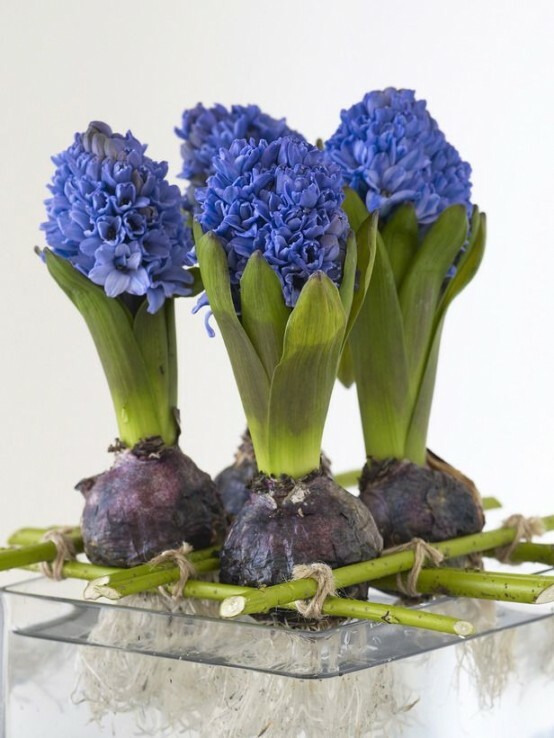 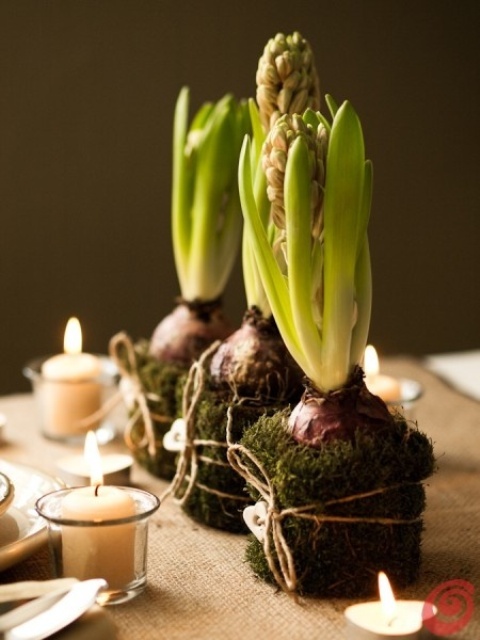 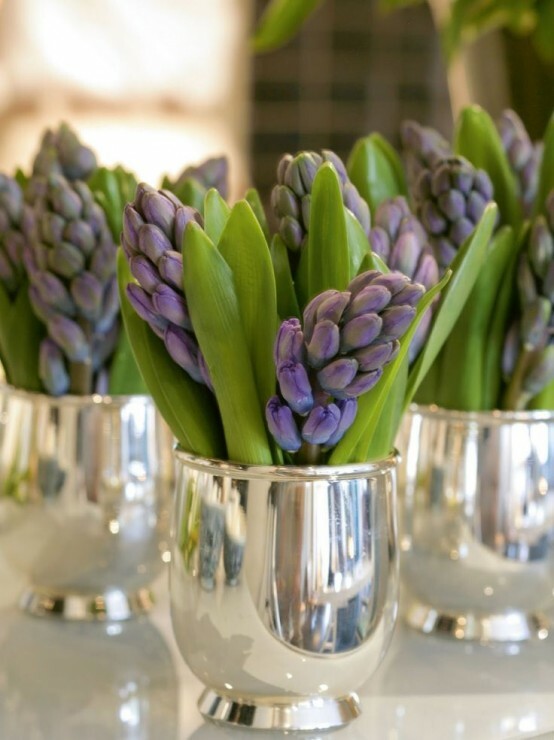 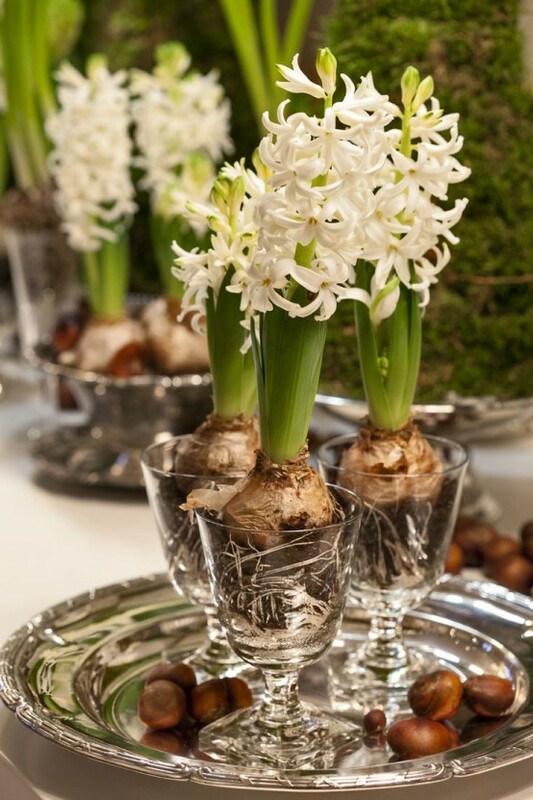 Hyacinths are ideal for a spring centerpiece, any table or party would be greatly decorated with them! 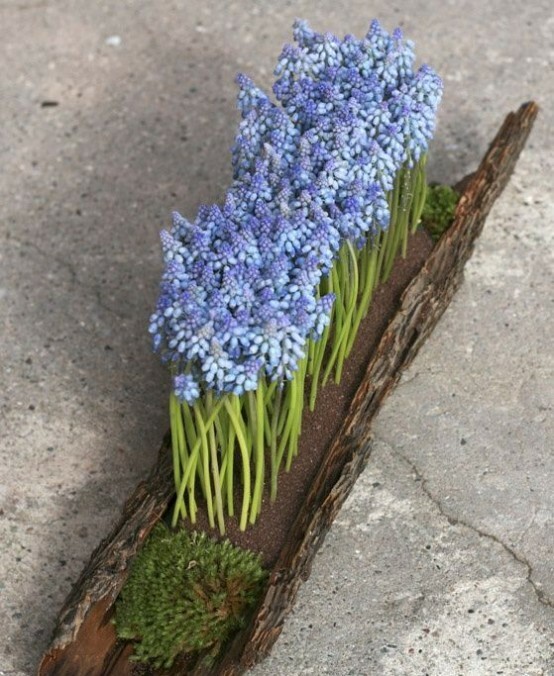 Look at the ideas below and get inspired by the colorful spring blossoms!